It’s Cyber Monday, Social Gals and Gents, and the good deals are EVERYWEAR!!! Retail therapy on steroids, and it’s all just a click away! First, don’t go too clicky coo-coo on the furnishings and fitness fronts, ’cause statistics prove that the best bargains there are available after the holidays. Can you say Boxing Day? Second, make sure to make good use of reliable comparison sites, to ensure that the deal is really the best available. We love Shopzilla, Nextag, and PriceGrabber. Third, if they don’t include delivery, move on. 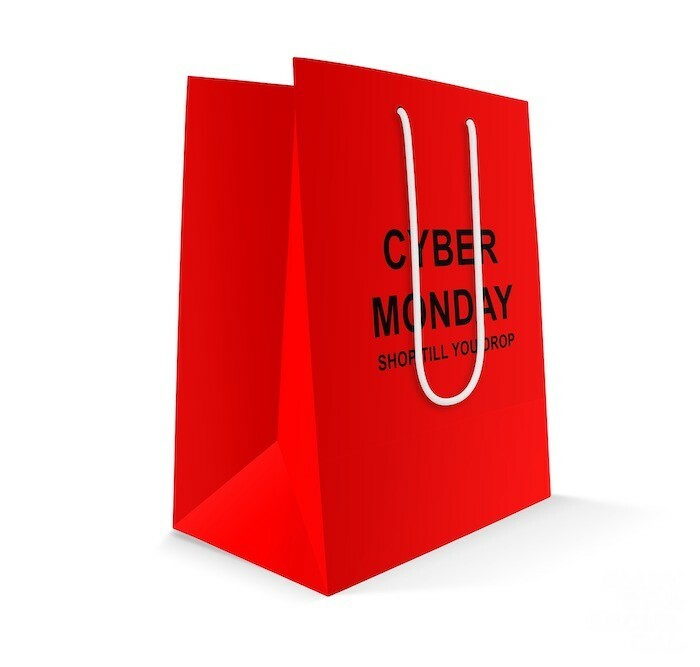 In today’s Cyber Mondayscape, free delivery is necessity, NOT luxury. Fourth, look for sites that are really heaping on the extras, like one of our surprising faves, Macy’s.com, offering up an extra 20 percent off! Fifth, don’t forget to get really excited about electronics and gadgets! The likes of industry leaders including Bestbuy.ca are offering insanely fabulous deals on dream tech, and even the likes of normally full-on retail Apple are incentivizing by way of $200 gift cards for MacBooks, $100 cards for iPads, and $50 for iPhones versions 7 and 8. That’s it, now get spending!! !